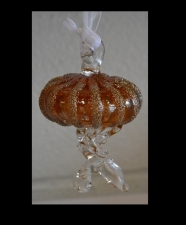 Salmon Jellyfish Ornament with Silver Rib Design. 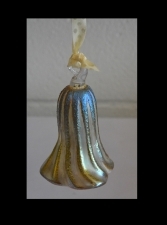 24 Karat Gold Iridescent Icicle Ornament. 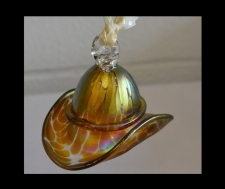 Blown glass & hand made.